Under direction, develops and evaluates alternatives for proposed projects and system modifications to meet system performance criteria. Assists in developing reports and work plans which recommend action considering short and long-range objectives, economic and budget considerations, etc. Uses computer programs/applications to perform studies and analyses and create programs as necessary to accomplish work objectives. Assists in conducting studies using various methods, some of which include load flow (complex and linear), stability, short circuit, production costing, loss of load probability, and engineering economics. Investigates possibilities for conceptual plans to effectively meet the system's future needs. Considers alternatives in the development of the most economical model that meets reliability specifications. Responsible for developing reports and work plans which recommend action considering short and long-range objectives, economic and budget considerations, etc. Uses digital computer programs to perform various functions and creates programs as necessary or coordinates the activities of others in this task. Condust studies using various methods, some of which include load flow (complex and linear), stability, short circuit, production costing, loss of load probability, and engineering economics. Responsible for the training and development of student engineers as directed by management. Develops and coordinates individual project work plans. Sees these plans through to completion, taking needed corrective action. Informs Department Manager of any major developments or changes in direction of the project. Responsible for developing reports and work plans which recommend action considering short- and long-range objectives, economic and budget considerations, etc. Responsible for the training and development of other less experienced engineers. Develops and coordinates individual project work plans and manages through completion taking needed corrective action. Informs Supervisor and Department Manager of any major developments or changes in direction of the project. Maintains technical expertise and awareness of field by staying abreast of the industry. Initiates status report for all assigned projects and keeps Management informed on progress. Manages multiple projects including the preparation of job status reports on projects for review. Prepares cost estimates on certain projects for submittal to Accounting and Planning Departments. Creates corporate standards and specification related to respective expertise. Technical representative for department in meetings with public businesses, members, vendors, contractors, and other utilities. Provides engineering support for Members and Cooperatives, at large. Develops written testimony and provides oral testimony in legal and regulatory settings as required. Requires mature engineering knowledge and judgment of sound engineering practices and standards. Maintains awareness of all relevant RUS procedures, specifications, and applicable standards. Investigates possibilities for conceptual plans to effectively meet the system’s future needs. Uses digital computer programs to perform various functions and create programs as necessary or coordinates the activities of others in this task. Conducts studies using various methods, including power flow (complex and linear), stability, short circuit, and engineering economics. Responsible for developing reports and work plans which recommend action, considering short- and long-range objectives, economic and budget considerations, etc. Develops detailed computer models to aid in the performance of simulations for analysis of the transmission system. Participates in regional planning activities and initiatives, including regional study groups. Develops and coordinates individual project work plans, and see these plans through to completing, taking corrective action when needed. Informs Department Manager of any major developments or changes in direction of the project. Responsible for being knowledgeable of all Departmental, Business Unit, and Cooperative goals and developing projects that will aid in their achievement. Maintains awareness of all relevant RUS procedures and specifications, and ANSI, IEEE, etc., applicable standards. Initiates status report for all assigned projects and keeps Departmental Manager informed on progress. Collaborates on the preparation of the transmission system work plan, and monitors actual progress of application portions, taking any corrective action required. Bachelor’s degree in Electrical Engineering from an ABET accredited school required. 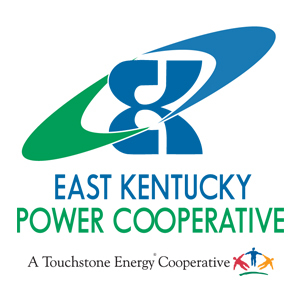 Based upon EKPC's business needs, a specific discipline may be determined upon the posting of this position. Well-developed written and oral communication skills are required. Must have good interpersonal skills and the ability to collaborate with other technical and non-technical contacts, both inside and outside the Cooperative. Must have the ability to creatively apply technical skills to projects and activities that will support the attainment of Departmental, Divisional, and Cooperative goals. Must have the ability to think logically and creatively and to understand instructions on specific objectives, complex features and possible solutions. Must have the ability to plan, schedule, conduct and coordinate personal work activities, with limited direction. Must have the ability to learn both technical applications and concepts as well as work with various levels of staff and management. Must have good assessment and problem solving abilities. Knowledge of computer programming and use of common applications is required. Must be capable and willing to learn on the job and advance to the next level of engineering responsibility, and to work toward acquiring EIT and PE status. Must have an understanding of basic electrical systems and circuitry. Previous power systems education or experience preferred. Four (4) - Seven (7) years of related engineering experience is required with the majority of this experience in the atra of the desired Skills/Abilities, preferred. Must have an understanding of all standard electric utility system planning practices and must have developed an in-depth expertise in most or all the following areas: load flow analysis (complex and linear), stability analysis, short circuit analysis, production costing and engineering economics. Well developed written and communication skills are required. Must have the ability to plan, schedule, conduct or coordinate detailed phases of total planning project of major scope under limited supervision. Must have the ability to creatively apply technical skills to developing projects that will aid in the attainment of overall department, division and Cooperative objectives. Bachelor's degree in Electrical Engineering from an ABET accredited school required. Registered Professional Engineering license in the Commonwealth of Kentucky preferred. Based upon EKPC's business needs, a specific discipline may be determined upon the posting of this position. Five (5) years of progressively responsible engineering work experience required, with the majority of this experience in the area of electric power system engineering. Six (6) years of progressive planning experience of electric power transmission system (69 kV and above). Knowledge of all standard electric utility system planning practices with demonstrated expertise in load flow analysis (complex and linear), stability analysis, short circuit analysis, and engineering economics. Knowledge of computer programming preferred. Microcomputer skills required with proficiency in Microsoft Excel and Word. Must have demonstrated experience in managing multiple projects simultaneously. This is primarily an inside position with usual office conditions. Travel in and outside the system and work outside normal hours may be required. Requires occasional in-state and out-of-state travel; travel may be overnight. Must maintain a valid driver’s license. May be required to work outside normal hours. Regular lifting up to 10 lbs. and occasional lifting up to 20 lbs. ; regular climbing of stairs; long periods of time operating office equipment. This is primarily an inside position with usual office conditions. Occasional work in the field is required.